Milk has always been an essential part of our lives right from the start, i.e., mother’s milk. In Indian households, the day doesn’t start without a cup of tea, and a glass of milk for the kids. Since childhood, our mothers have made sure that we consume a sufficient amount of milk every day as it is a storehouse of calcium and many other essential nutrients. My mother makes sure we consume at least a glass of milk every day, if not two, which she strongly recommends. Our daily consumption of milk is very high. However, are we sure about the quality of the milk we consume? Is it as good as it is promised to be?The milk industry in India forms a major part of the unorganised sector of India. 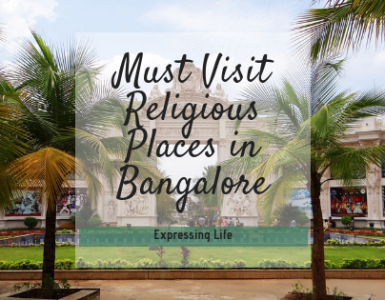 Major milk flow to the urban areas is handled by the age-old local milkmen. 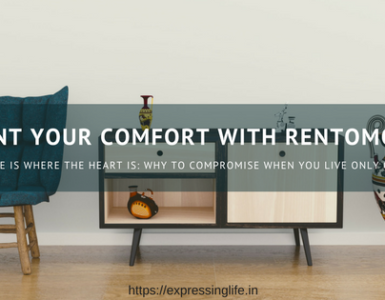 While they swear by the quality they deliver, is it really the best we can get? As per an Indian mother, milk is a must have for a balanced diet. 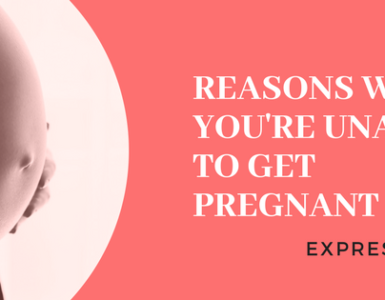 Our mothers, or for that matter our loved ones would never want us to compromise on our health and milk is one of the healthiest liquid food out there. The purity of the milk depends largely on its storage. But, is our trusted milkman aware of the standards of quality and safety with respect to storage of milk as prescribed by the Government? 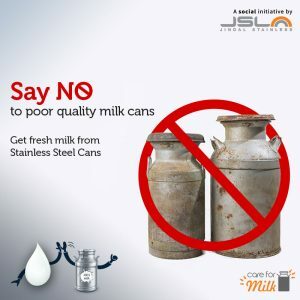 Care for Milk, an initiative by Jindal Stainless, raises awareness over the quality of milk consumed across the country. It is an effort to make sure you start getting best quality milk by being aware of the standards of quality and safety with respect to milk procurement and its storage.The campaign aims at educating the age-old milkmen and dairies about the importance of the storage of milk that they deliver. Storage of milk in poor quality milk cans reduces its nutritional value and may have potential health hazards that the milkmen are unaware of. The quality of milk gets compromised if not stored properly.The campaign highlights the use of better storage options for milk, i.e., Stainless Steel milk cans. They can store milk safely for a longer time and in large quantity. The poor quality cans are used by milkmen across India to deliver milk, which loses its nutritional value by the time it reaches you.The Stainless Steel can is the ideal milk can which prevents the formation of bad bacteria. It is the best container for storing milk as it does not corrode and keeps the beneficial nutrients of milk intact. 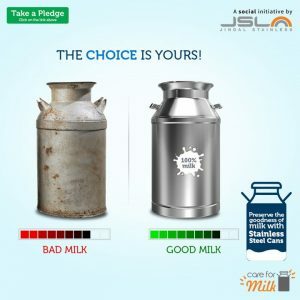 The campaign also highlights government norms like the one by Food Safety and Standard Authority of India (FSSAI), which clearly states that cans and containers made up of mild steel metal and plastic material used for storage and transportation of milk and milk products shall not be allowed.The company urges the users to take a pledge on their website to get good milk. It will also take up the campaign offline and educate people, milkmen and dairies through various RWAs. It is an endeavour to educate the masses that the milk that reaches them is not in its best fresh form.Milk is considered to be an important part of a balanced diet and is also recognised as a complete food. Our daily consumption of the same is aimed to make us healthier and that depends solely on the quality of milk we consume. So, take a pledge today, to help educate the milkmen and the dairies that deliver to you, your daily source of energy and to make sure that the milk that reaches you, is the quality that it is promised to be: Pledge here! Very good simple and straightforward writing. Website design is great and it looks good !! Good article 🙂 Keep it up!! This is a very important topic. I also wouldn’t drink milk from those canisters. Interesting topic, must to create awareness for a better health! I am actually worry about the quality of milk and I didn’t give my baby any dairy because I was worry about the antibiotic and chemical in it. Its so difficult to find good quality of milk nowadays yet it’s so crucial for children development. In spite of so many campaigns many unhealthy and unhygienic practices continue. More awareness needed on this front. Your article is an eye opener.